Janome Sewing Machine > Accessories > Convertible Even Feed Foot Set-High Shank. Convertible Even Feed Foot Set-High Shank. 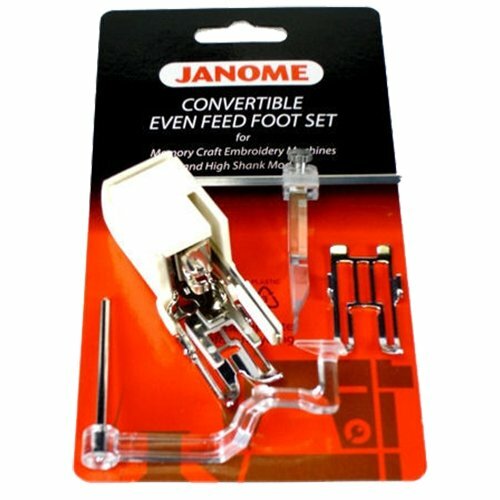 Janome's Convertible Even Feed Foot Set offers convenient features especially for quilters. The set includes everything you need for gorgeous quilting. The new construction of these feet make it easier than ever to set up for all kinds of quilting tasks.